On the 23rd (Fri), stop by Zinkowski Art Studio. For more things to do, reviews, traveler tips, and tourist information, refer to the Culebra sightseeing planner. Newark, USA to Culebra is an approximately 8.5-hour flight. The time zone changes from Eastern Standard Time to Atlantic Standard Time, which is usually a 1 hour difference. 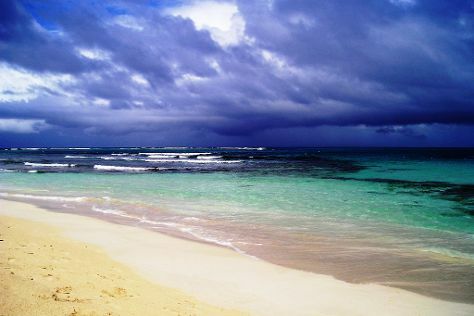 In June, Culebra is somewhat warmer than Newark - with highs of 88°F and lows of 79°F. Finish your sightseeing early on the 24th (Sat) to allow enough time to fly to San Juan. Start off your visit on the 25th (Sun): contemplate the long history of La Fortaleza - Palacio de Santa Catalina, then appreciate the extensive heritage of San Juan National Historic Site, and then appreciate the extensive heritage of Old San Juan. To see other places to visit, traveler tips, reviews, and other tourist information, refer to the San Juan travel planner. San Juan is just a stone's throw from Culebra. June in San Juan sees daily highs of 90°F and lows of 78°F at night. Cap off your sightseeing on the 26th (Mon) early enough to travel to El Yunque National Forest. On the 26th (Mon), take a peaceful walk through The El Yunque Rain Forest. For photos, other places to visit, maps, and other tourist information, use the El Yunque National Forest trip itinerary planner. You can drive from San Juan to El Yunque National Forest in 1.5 hours. In June, daily temperatures in El Yunque National Forest can reach 88°F, while at night they dip to 78°F. Finish your sightseeing early on the 26th (Mon) to allow enough time to travel back home.